Dolar Drugs: A Family Run Pharmacy for over 40 Years! 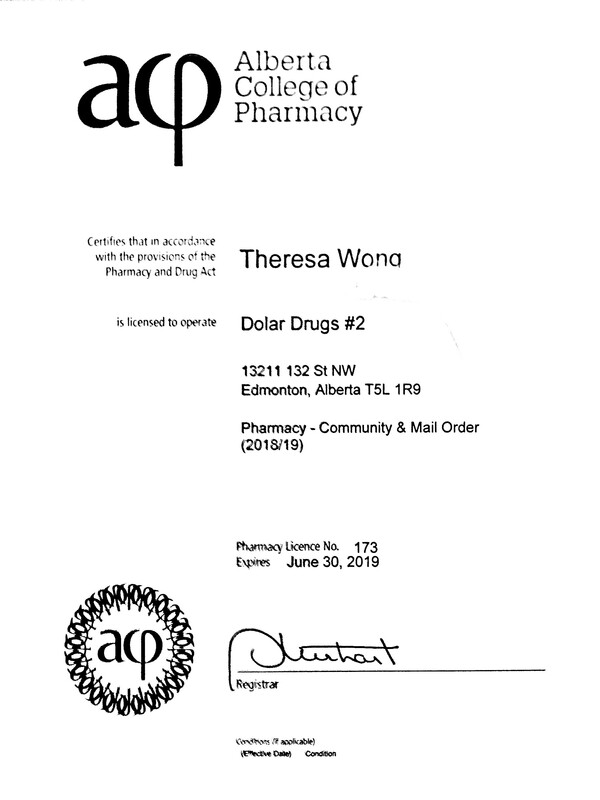 Dolar Drugs in Edmonton is an independent, family-owned and operated pharmacy with a team of staff offering expertise with over 40 years in community pharmacy. We are committed to excellence in customer service. Our friendly staff is here to ensure you receive superior pharmaceutical care with every visit. We help our clients improve their quality of life by supplying them with the appropriate medication, instruction and most up to date healthcare information. Download the Dolar Drugs app from the App Store or Dolar Drugs from Google Play to easily refill prescriptions and much more.